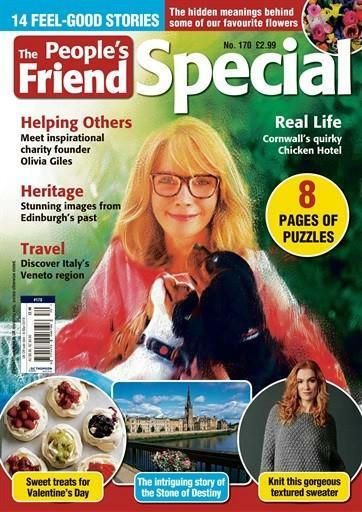 A People's Friend Special magazine subscription is the perfect companion to The People's Friend magazine. It brings you more stories, craft projects and interesting interviews with talented authors. With features relating to the season or special occasions, you will love the variety of content in each issue. From completing fun puzzles, reading poems or perhaps having a go at the featured recipes, you won't want to miss it.Please note that publishers stipulate a 12 month minimum term for all Direct Debit orders. This is published 17 times per year, please allow up to 2-4 weeks for your first delivery. Your subscription will begin with the next available issue.